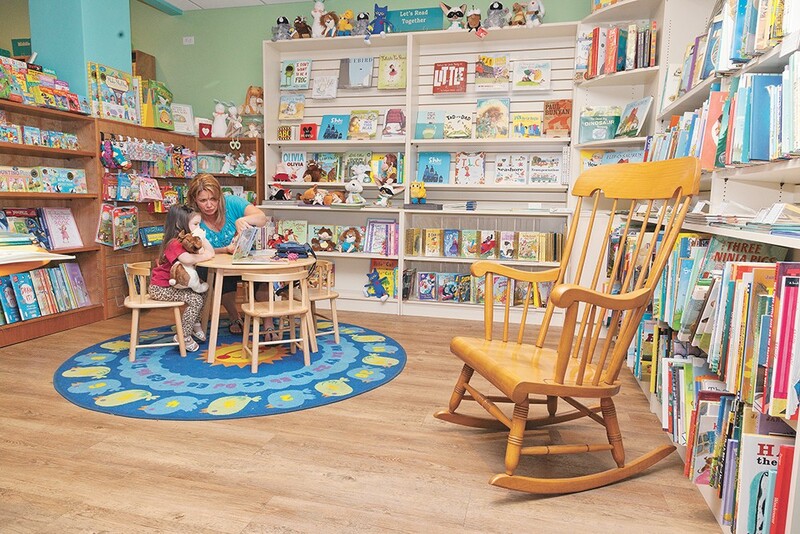 Kids are welcome at the Well-Read Moose, which is marking its fifth anniversary in May. Melissa DeMotte remembers going to the bookstore as a young girl with her sister, whose young children now delight in coming to DeMotte's bookstore, the Well-Read Moose in Coeur d'Alene's Riverstone development. With its kids' area and dedicated story time — Wednesday evenings, 4:30-5:15 — the Well-Read Moose is a cozy spot for kids and reinforces the importance of books and reading, she says. "It's a lifelong foundation for kids." Parents know where to go, too: the café for coffee, but also beer and wine — all local — plus a small selection of tasty treats from early morning to evening. Her goal, she says, was to create a welcoming place where people could meet, have a conversation, read a book and generally feel safe and relaxed. They continue to add events and look for ways to distinguish themselves from other places, Demotte says. In addition to book clubs and storytime, they've added events such as local author readings and a trivia night. Coeur d'Alene needed an independent bookstore, says DeMotte, whose background was in finance. On business trips, she says, she always loved going to independent bookstores. When she finally relocated to the area in 2005, after years of visiting family here, she continued working in finance yet took notice of bookstores like Auntie's in Spokane and Borders in Coeur d'Alene. When Borders closed in 2011, DeMotte says, she remembered thinking, "Coeur d'Alene has this wonderful library and supports the arts. It's missing its bookstore." In 2012, she was planning a New York City trip and noticed the American Booksellers' Association seminar, "So You Think You Want to Own a Bookstore." Something resonated with DeMotte, who signed up for it, returning the next year for more training, DeMotte says, who retired from finance to develop the store. She remembers feeling like a bookstore could work well if she found the right location and did her homework. "I just kept thinking, you know, 'There's a place for this.'" On April 27, they'll celebrate Independent Bookstore Day and on May 31, the store will have reached an all-important milestone: their five-year anniversary. The original print version of this article was headlined "North Idaho's Best Bookstore: THE WELL-READ MOOSE"